Loaded w/ every factory option; sat radio, power folding mirrors, sunshades, park assist, etc. - everything works. My daily for ~7 years; recently replaced by an Allroad. Needs minor work, runs & drives in neighborhood. Needs radiator, alternator, control arms (included), & tires. 19" Alzor wheels have cracks & need repair; tires are shot. Super clean inside & out. Recent (12k miles) timing belt, water pump, thermostat, valve cover gaskets, serpentine belt, snub mount, coolant refresh kit, trans service, etc. All from ECS; have receipts. 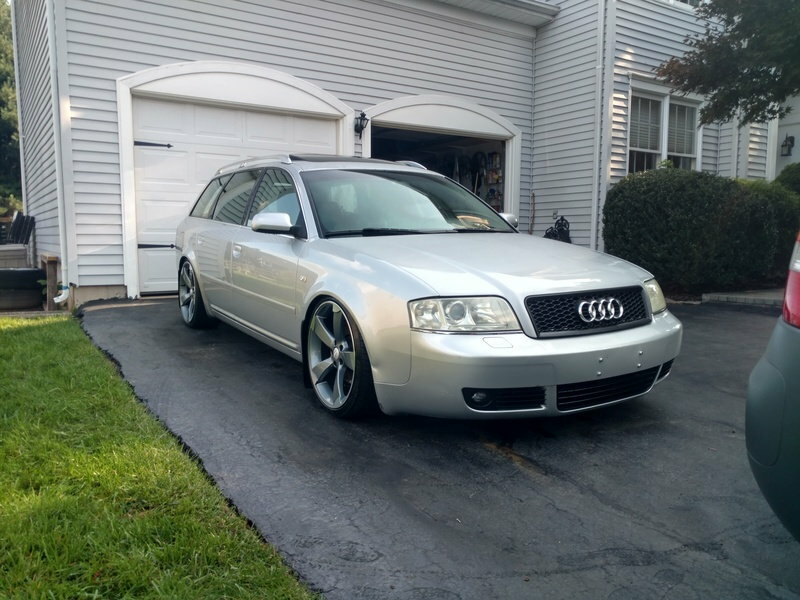 Lowered on ST coilovers w/ ECS install kit, RS6 grill, clear-cornered OE xenon headlights, drilled/slotted rotors, de-badged. Included: complete front control arm set, motor/trans mounts, rear pads, original grill, timing covers, timing tool kit, misc. odds & ends, Bentley service manual, etc. What you see is what you get - super clean, well maintained, & needs some minor work to be a nice daily or a start to a nice project. Bring cash & a trailer. $1,200 - no offensive low ball offers please.